Improve Mental Toughness for Karting! 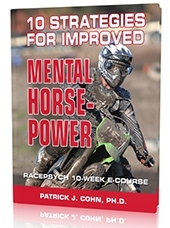 Discover powerful mental game tools to boost mental horsepower for karting or drag racing! Learn the winning mental strategies to improve confidence, teamwork, and consistency! Karting teams spend more time and money on equipment than any other sport. But even the most talented team with the best equipment can’t reach peak performance if they aren’t mentally prepared for competition. Think about it… How many times has a breakdown in driver focus, or indecision by the crew cost you a podium finish? Or how often do you find that lack of teamwork costs you valuable seconds? Do you or your team have the confidence, focus or composure to power the attitudes that lead to championship behaviors? Dr. Cohn has helped 1000s of athletes over the past 25 years to improve their mental toughness and get the mental edge. Dr. Cohn has helped NASCAR winners, national champion motocross racers, cart racers, drag racers, and champ car drivers improve their mental toughness and win. 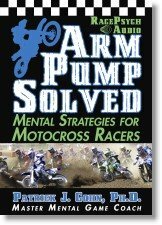 He’s the author of The Confident Racer CD program for auto racers and Arm Pump Solved CD program for Motocross the popular Confident Athlete Workbook and CD series. He is also the creator the Mental Game Coaching Professional Certification. You can improve your mental game one-on-one with Dr. Cohn himself in Orlando Florida or get coaching from anywhere in the world via telephone, Skype, or video conferencing with Dr. Cohn himself. We have a variety of mental coaching programs to choose from. Contact Dr. Cohn at Peak Performance Sports or call 888-742-7225 today for a free 15-minute mental game evaluation!